Sarah Nader - snader@shawmedia.com St. Charles East's Kyle Manske pitched during Monday's game against Dundee-Crown in Carpentersville on March 25, 2012. St. Charles East won, 1-11. Sarah Nader - snader@shawmedia.com Dundee-Crown's Trent Muscat catches the ball to make an out during the third inning of Monday's game against St. Charles East in Carpentersville on March 25, 2012. 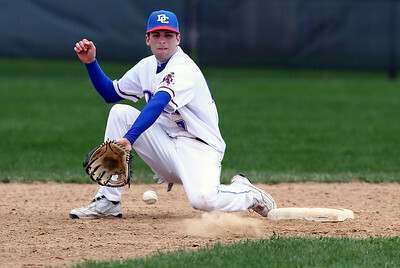 Dundee-Crown lost, 1-11. Sarah Nader - snader@shawmedia.com Dundee-Crown's Tyler Gross makes contact with the ball during the third inning of Monday's game against St. Charles East in Carpentersville on March 25, 2012. 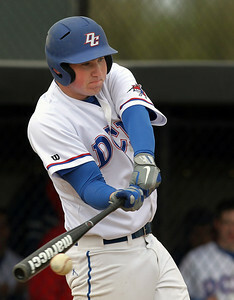 Dundee-Crown lost, 1-11. 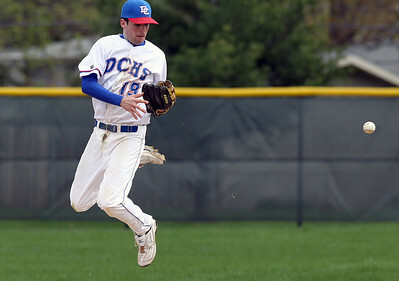 Sarah Nader - snader@shawmedia.com Dundee-Crown's Trent Muscat jumps to catch a hit during the fourth inning of Monday's game against St. Charles East in Carpentersville on March 25, 2012. Dundee-Crown lost, 1-11. Sarah Nader - snader@shawmedia.com Dundee-Crown's Kyle DeAtley steals to second during the third inning of Monday's game against St. Charles East on March 26, 2012. 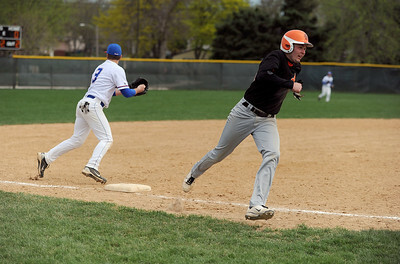 St. Charles East won, 11-1. Sarah Nader - snader@shawmedia.com Dundee-Crown's Tyler Gross pitched during Monday's game against St. Charles East in Carpentersville on March 25, 2012. 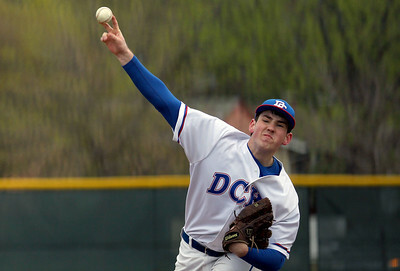 Dundee-Crown lost, 1-11. 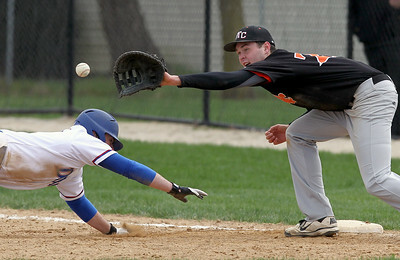 Sarah Nader - snader@shawmedia.com St. Charles East's John Hondlik (right) waits for the pass while Dundee-Crown's Nick Hathon slides safely back to first after trying to steal for second during the third inning of Monday's game in Carpentersville on March 25, 2012. St. Charles East won, 1-11. 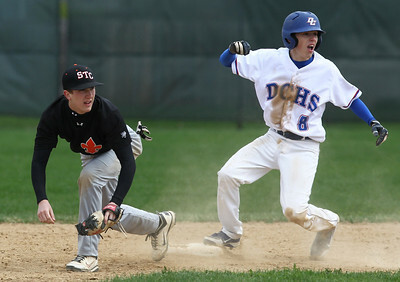 Sarah Nader - snader@shawmedia.com Dundee-Crown's Nick Hathon (right) tags out St. Charles East's Troy DeFilippis while he ran back to second after trying to steal to third during the third inning of Monday's game on March 26, 2012. 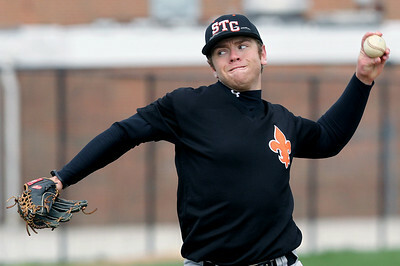 St. Charles East won, 11-1. Sarah Nader - snader@shawmedia.com St. Charles East's Nathan Sharko catches a fly ball to right field during the third inning of Monday's game against Dundee-Crown in Carpentersville on March 25, 2012. St. Charles East won, 1-11. Sarah Nader - snader@shawmedia.com St. Charles East's John Hondlik round third base while running to home during the third inning of Monday's game against Dundee-Crown in Carpentersville on March 25, 2012. St. Charles East won, 1-11. Sarah Nader - snader@shawmedia.com Dundee-Crown's Trent Muscat lays in the grass after diving for the ball during the fourth inning of Monday's game against St. Charles East in Carpentersville on March 25, 2012. Dundee-Crown lost, 1-11. 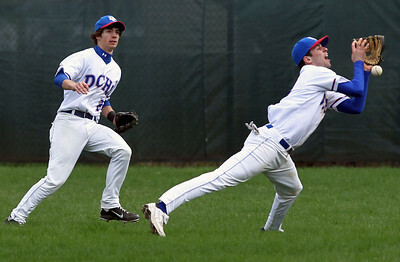 Sarah Nader - snader@shawmedia.com Dundee-Crown's Garret Ryan (left) watches as Trent Muscat dives for the ball during the fourth inning of Monday's game against St. Charles East in Carpentersville on March 25, 2012. Dundee-Crown lost, 1-11. 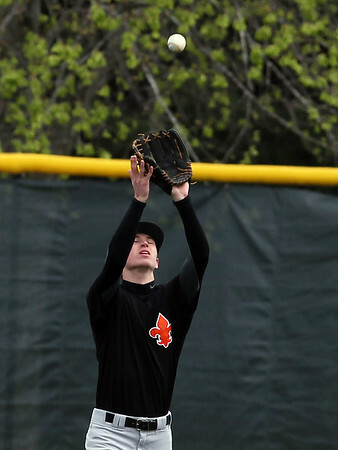 St. Charles East's Nathan Sharko catches a fly ball to right field during the third inning of Monday's game against Dundee-Crown in Carpentersville on March 25, 2012. St. Charles East won, 1-11.